A monitoring exercise to ascertain the level of execution of 2017 federal projects in Abia State left the people in utter amazement at the weekend, as it was revealed that over 22 per cent of the projects were abandoned. The summary of the findings was presented by consultant on physical monitoring of projects in the state under the auspices of Women Aid Collective (WACOL), Dr. Uzochukwu Amakoma of the Institute of Development Studies (IDS), University of Nigeria, Nsukka (UNN). Findings from the exercise showed that at the second half of 2017 (six months into 2018) work has either not commenced or abandoned at 21.95 per cent of the projects, according to appropriation figures in the 2017 budget. Investigation also revealed that although 19.51 per cent of the projects were executed, 14.63 per cent of those completed were yet to be put to use. Out of the 17.07 per cent of the on-going projects, less than 50 per cent has been done even as the status of 4.88 per cent could not be ascertained while 2.44 per cent of the executed schemes failed due to poor execution. The projects are located in the north, central and south senatorial districts of the state, represented by senators Mao Ohuabunwa, Theodore Orji and Enyinnaya Abaribe respectively. Amakoma said the report would educate and propel the electorate to ask questions and seek clarification from contractors handling the projects. Reactions from the public, some of the projects were either over estimated or under estimated while some may not stand the chance of being continued without varying the cost in line with present economic realities. Meanwhile, worried by the rate of abandoned federal, state and local council projects in the country, WACOL and Voice of the People (V2P), urged Imo people to raise the alarm over neglected projects in their areas. The groups said communities where projects are being implemented or abandoned, those not used when completed and communities where projects are being planned for execution to rise to the occasion to monitor the different stages of such projects. Speaking at a strategy meeting of CSOs, the media and Christian/Faith-Based organisations held in Owerri, Amakoma and the Programme Facilitator for WACOL, Egodi Igwe, urged the people to use the Freedom of Information Act (FoIA) to monitor, investigate and query government officials on projects cited in their communities. This, they argued, would help avert non-engagement of the communities, as well as the abandoned projects and those not being put to use when completed. 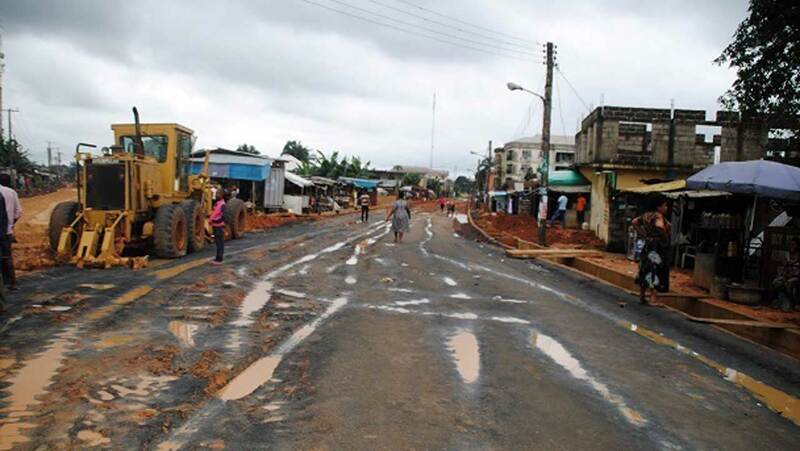 Specifically, they expressed dismay that about N82m (N40m Umuezeala Primary Health Care, N30m Primary Health Care, Obowo and N12m road project in Okporo, Orlu), were abandoned after years of the contracts award.